In trade marks, how close is too close before it’s deemed an infringement? To answer this question, we zoom in on a recent stoush between a Brisbane-based burger business and global fast-food giant McDonald’s. Was it a marketing stunt? Joanna: Hi it’s Joanna Oakey here and welcome back to Talking Law, a podcast brought to you by our commercial legal practice Aspect Legal. 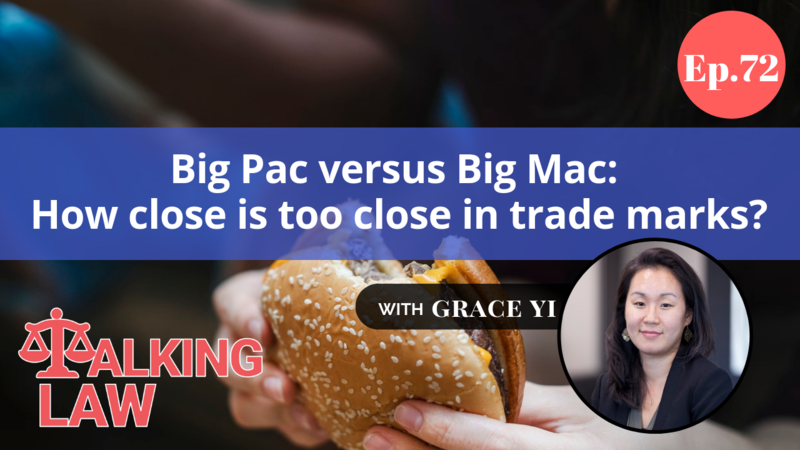 Now today we have back with us resident trade mark expert over at Aspect Legal, Grace Yi. Hello Grace, how are you? Joanna: Great. Well look, Grace and I thought we bring to you today some hot off the press information about trade marks. Not so much information, I guess we’re talking here about some recent cases that are interesting and one in particular that relates to our McDonald’s branding. Grace, tell us what this case was all about. Grace: Yeah. So what’s happened is that a burger joint based in Brisbane has decided to skirt quite close to the famous Big Mac brand by launching a burger which has alpaca patties instead of the all beef patties and then calling their burger the Big Pac. Joanna: And really, were they surprised that they have Mackers on their doorstep? I mean really. Grace: Yeah. They shouldn’t have been too surprised. They did it very intentionally. Look, I’m looking at the post, the Instagram post that they released in social media about their burger and they’ve gone so far as to use the little jingle that Big Mac likes to use, that McDonald’s uses in relation to their Big Mac. They’ve used the words “two all alpaca patties, sauce, cheese, pickles, lettuce, onion on a sesame bun.” And of course they take the point of view that they think there’s just no room for confusion. But of course McDonald’s didn’t agree with that point of view at all. Joanna: It’s interesting. So we’ve got two elements here that I think are particularly interesting. The first element is something like Big Pac, which is a different word to Big Mac so it’s interesting isn’t it from a trade mark perspective how a brand like McDonald’s I guess used its size in terms of like a Big Pac there. Obviously, the word comes from an alpaca burger – Big Pac. If it was big alpaca burger obviously there’s nothing really that McDonald’s could have done. But because it was shortened to Big Pac which sort of rhymes with Big Mac then obviously if McDonald’s a bit of a foot in the door in terms of arguments so I think it’s interesting from that perspective in terms of well what is infringement. Infringement can be different depending on how big the party is that you’re dealing on the other side and also how well known the products are or the branding is. I think that’s one element. But the second element might also be – do organisations intentionally open the door for a trade mark dispute just because they think maybe it will get them some publicity? And maybe have these guys gotten a good deal out of it even though they’ve agreed now to pull the use of the word Big Pac. What do you think about that Grace? Grace: Oh gosh! It’s so risky, isn’t it? And if clients ever came to us and asked us this this sort of thing, we would say well don’t be surprised if that big company on the side who owns the famous brand has an issue with it. Joanna: Yeah. But what are they going to do? They’re going to serve you with a cease and desist notice. Right? And the real question is if you agree to take it down. Of course, it’s different if you don’t agree to take it down. I think you’re really opening yourself up to a lot of risk. But the point is if you’re willing to take it down straight away, we know that there’s sort of a low likelihood of infringement actions being brought in this sort of instance, where there’s not been a long drawn out use of the market in question. Grace: Yeah. I guess so. But the theoretical risk that people need to be aware of is that when you do infringe, the party that does own the trade mark has the ability to start coming at you for all the profits made under the infringing right. Joanna: So there’s certainly a risk, a big risk. Grace: Yes, yes. But in this case, I was mentioning to you before that I really feel like this Brisbane-based food joint got all this free marketing out of this case. Joanna: Yeah. I mean who’d heard of Burger Urge before? I don’t know! Like maybe loads of people had, but I hadn’t heard of Burger Urge. Had you heard of Burger Urge before? Grace: I didn’t know alpaca burgers existed. Joanna: I had no idea Grace! Who knew? Who knew? But now, all of social media probably knows because of this stunt. And maybe it is a stunt. I guess the question is – is it a stunt or did they not understand the two different elements of it? Grace: Yes. But I guess the message for our clients and anyone who’s listening is that if you’re skirting this close to a really famous brand, don’t be surprised if you do get that letter in the mail from their lawyers saying you’ve got to stop. It’s an infringement of their trade mark rights. Because at the end of the day, they’ve got deep pockets and they’re the type of people who will be watching the market as well as the trade mark register and staying on top of their rights. Joanna: Yeah, that’s absolutely right and then I guess there’s also a message in it for our clients who have trade mark registrations as well. I think this comes back to the importance of being really quick off the mark to stop people who are using a particular mark that’s similar to yours because I think more traction that organisations get under the use of a mark, the harder it is for you to get them to stop. Grace: Yes, yes. And another reason why you should keep an eye on it is because sometimes trade marks get accepted by the Trade Marks Office because there’s a technicality that allows them to pass that examination stage. But really if you look at the big picture of it, there’s a problem there. The case that I’m thinking there is that one that was in the news years ago where a gym called their gym something to do with Superman and because of the technicality it was able to get past the trade mark examiners. But of course, DC Comics or whoever owns the Superman brand didn’t like that and they blocked it at that second stage of the opposition period. Joanna: So your opportunists here who are jumping on things. I mean you know, on the one hand it might be opportunists or on the other hand it might just be people who don’t completely understand. But simply whacking on a trade mark registration, getting through phase one doesn’t mean you’re home and hosed. I think it’s really important to understand. Grace: That’s right. Yes. What that means for our clients who already have trade marks registered is you’ve got to really stay on top of it. Because things could get through the Trade Marks Office that you would have an issue with and that’s what that whole opposition period is for. Grace: And it’s a very short window. It’s only two months so once that’s gone. It’s very difficult then to take issue. Joanna: It’s really and I guess this sort of is one of those areas where many organisations just don’t go to the extent of having a watching brief to make sure they pick up applications that might impact their trade mark that they might have the right to oppose. But really, this is one of these areas where if you’ve got an important mark, it can really be a very good idea to have a watching brief happening, either you yourself keep an eye or having good quality lawyers like us. Grace: Absolutely! Because if you’ve got other people getting on the register with a similar brand that’s really diluting your exclusivity in the market with that brand. So if being exclusive is really important to you, then absolutely going to this extra step and a bit of extra cost is worth that preventative action. Joanna: Absolutely. Well look today was just a really quick discussion about this interesting case and obviously McDonald’s is very quick, like many large organisations who are very brand protective, are really quick to shut down any attempts to get anywhere near their brand. Joanna: Whether or not the Big Pac was something that was inadvertent, someone didn’t realise or maybe a clever play at a bit of media from the storm that they knew it would cause. I don’t know. Jury’s out there. Certainly, it doesn’t seem to have harmed them. Now we’re all talking about Burger Urge with their alpaca burger. Joanna: A bit cheeky. Even though they’ve had to pull it. Maybe not even scarred by the whole event given the media that they’ve had. Interesting questions from a trade mark perspective. But Grace, thank you so much for coming on board today to chat to us about this. I think it’s always fun to chat about what’s new in the media. Joanna: Thank you. And thanks again to you the listener for listening in. 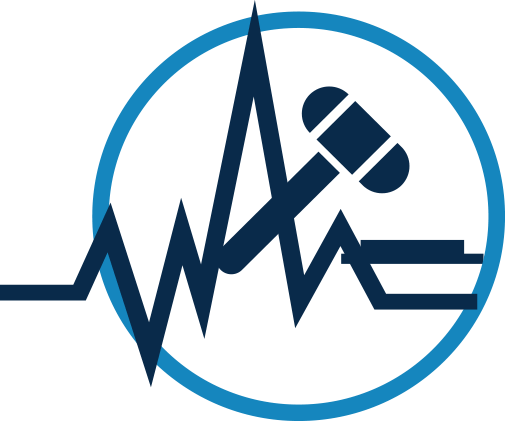 You’ve been listening to Talking Law, brought to you by our commercial legal practice — Aspect Legal. See you next time! Our team at Aspect Legal specialises in providing trade mark registrations, and general advice on brand protection and commercialisation for companies and individuals based anywhere in the world. So if you work in creating brands or logos for business, or if indeed you are a business needing assistance in protecting your brand, we offer a free 15-minute consultation with one of our lawyers to discuss how we can help you or your client. We also provide a free trade mark pack, if you want to get a bit of an understanding of the process and the timelines. But of course, we do more than just trade mark registrations! We work with our clients on a range of issues to assist them in making their trademarks work for them. If you want to know more, contact us at [email protected] – or head over to our website at aspectlegal.com.au to book in a free consultation with one of our trademark lawyers.